There are many findings that are significant in the UK context. Page 21 has a “Universal Scale” that compares across systems, across countries by expenditure by pupil. The UK is in a ‘Good’ category , but behind Finland, Singapore, South Korea, Hong Kong and Ontario, who are in the ‘Excellent’ and ‘Great’ divisions. It is not an easy read, but the results have great credibility. The webcast may give some people a softer introduction and a wider view from round the world. One eye opener for me is the degree of confidence in Singapore in the use of English as the prime language of tuition, where it is not the national language of any of the multi-racial society. In 1983, the government mandated that English would be the medium of instruction in all subjects, except the mother tongue. The majority of parents saw English as offering the greatest employment opportunities for their children. The UK system produces 25% of young people that do not recognise a link between reading and success; people with poor literacy are least likely to be in full-time employment at the age of thirty. From a point of Quarkside continuity, look at the quality of this report compared to the one commissioned by DfE on SIF. None of McKinsey’s finding could be challenged, they are all based on solid research. Perhaps Sir Michael Barber should be called back to DfE, he was responsible for the oversight of implementation of the Prime Minister’s priority programs in health, education, transport, policing, the criminal justice system and asylum/immigration. On the other hand, could we afford the fees? I suppose Quarkside is just another of these tree shakers. But, perhaps it should not have required a letter to a minister. There’s no great policy concern. It is only professionals wanting to do a better job for the education community. We all agree that standards should be used for all levels of interoperability, and I am sure that the Minister will agree. That leaves the issue with the departmental civil servants. They should be helping educationalists to do that better job, not putting the brakes on collaboration between suppliers and users. It is the officials that should be accountable for the detailed strategy and provide sensible advice to what is, effectively, 27,000 buying agencies. Educational resources and administration both need standards. It is only sensible to do it with central support and user consultation. The publication of inaccurate findings is not helpful and has delayed the adoption of reasonable standards. Both SALTIS and SIF need useful responses from DfE. Education is naturally fragmented and it needs some super glue. One of the criticisms of innovation, such as information sharing, is that it needs time and money to research and implement. The benefits case has been made many times, but it still needs some initial investment. Here’s Quarkside’s idea for schools who may be spending money on licences for Outlook, Word etc. Google Apps Education Edition offers a free (and ad-free) set of customisable tools that enable teaching staff, other staff and students to work together and learn more effectively. When the time comes for renewal, consider looking at the administration efficiency gains obtainable from Systems Interoperability Framework (SIF) products. It’s not an instant solution, but there’s virtue in thinking ahead. Great stuff. They are all most pertinent input to deciding a local interoperability strategy for schools. The Department should be pleased to publish them since there is now no possibility of conflict with Becta advice. Policy and strategic direction is now in the right, accountable, place. They quark the needs, the business case and the technology direction. [Process>Governance>Technology]. Previous SIF Association conferences have covered all three in their proceedings. They have the Specification, a draft Business Case (with Atkins Global on the spreadsheet properties) and the Technology. This investment should not be written off without due cause or rational explanation. The ‘only kid on the block’ should be nurtured by DfE, not neglected. When all schools become freed from local authority control, they will really need all methods of minimising administration complication and costs. What were the contract value, terms and conditions? 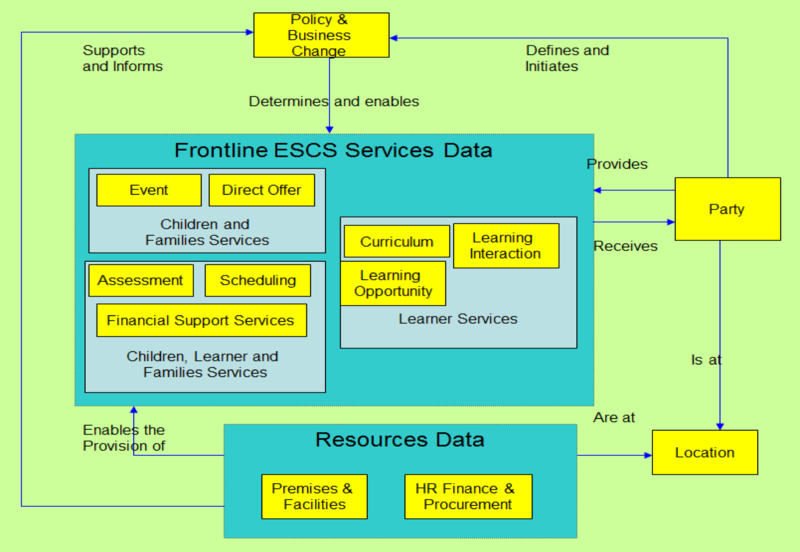 What was the correspondence between the DfE and CapGemini that authorised reducing the scope? How much has been paid for the report? A Freedom of Information request may drag out some answers, but maybe some readers of Quarkside already know them.